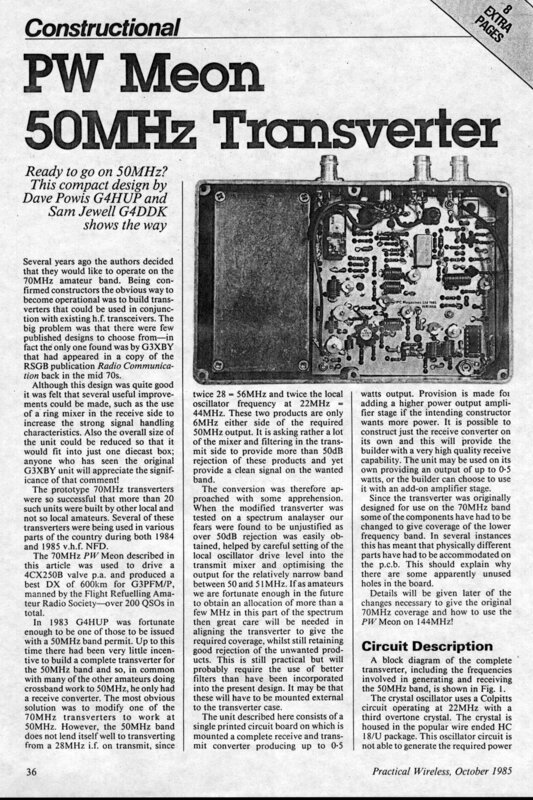 The PW Meon is a 50 MHz Transverter designed by Dave Powis G4HUP and Sam Jewell G4DDK in the eighties, and featured in the October 1985 Practical Wireless. 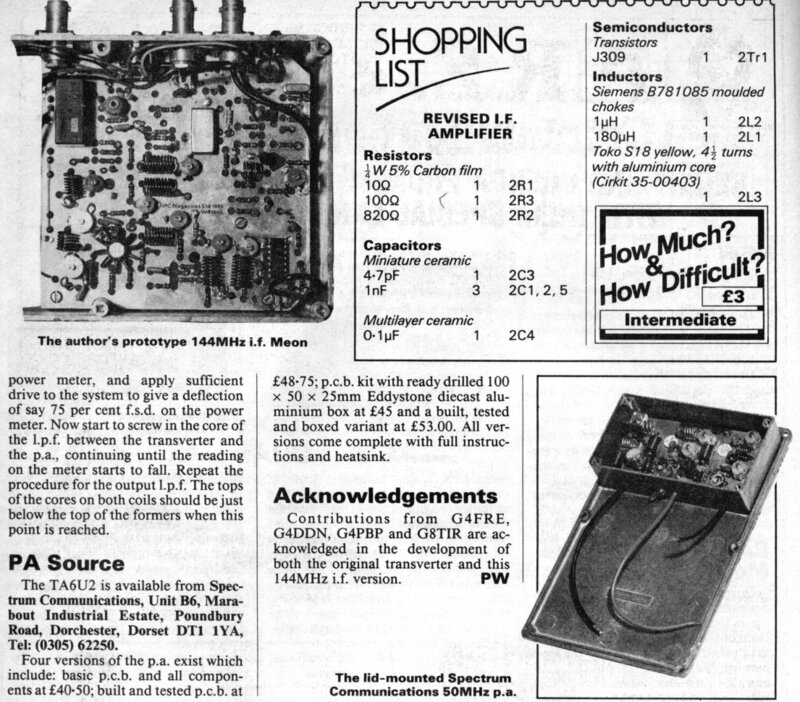 The IF is at 28 MHz, in other words, you hook this thing up to a 28 MHz transceiver and you're on 6m. 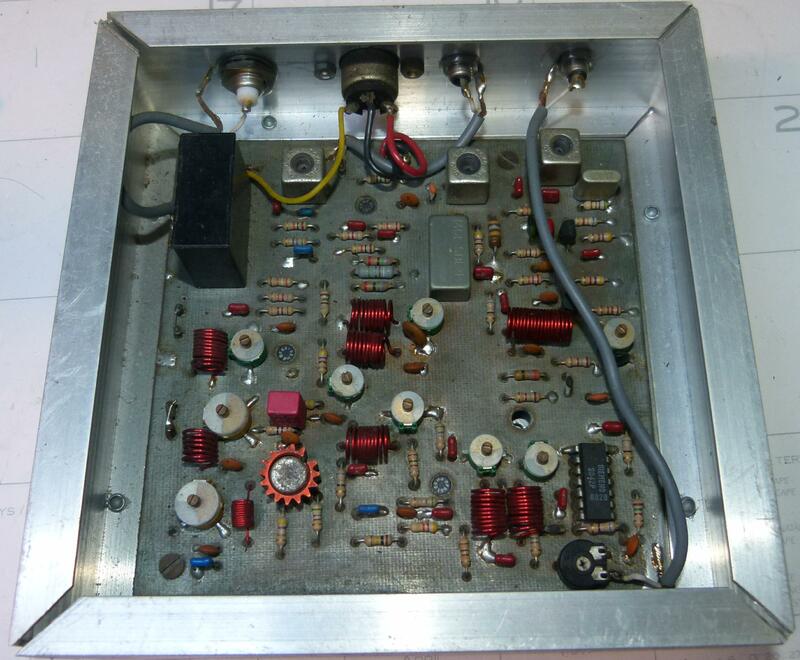 Output is all of half a watt on 50 MHz so some kind of a linear amplifier is probably a good idea. 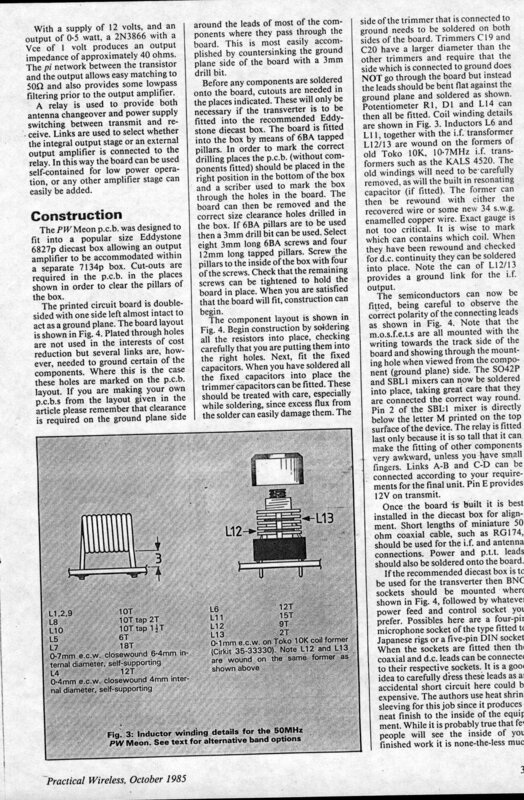 Here's a scan of the original article, page 1, page 2, page 3, page 4, page 5, page 6 and page 7, courtesy of UHF SatCom. 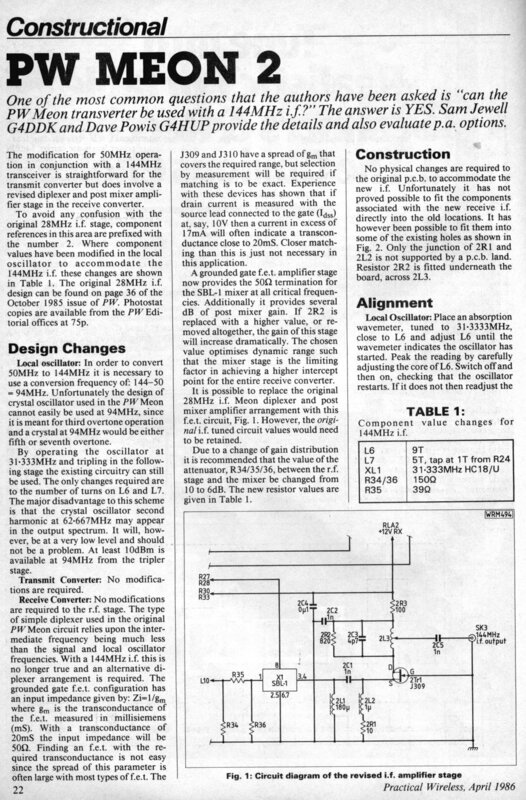 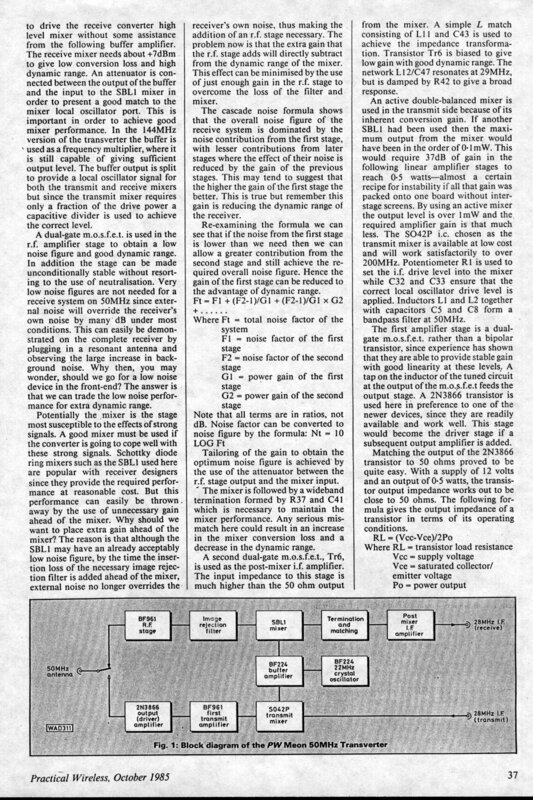 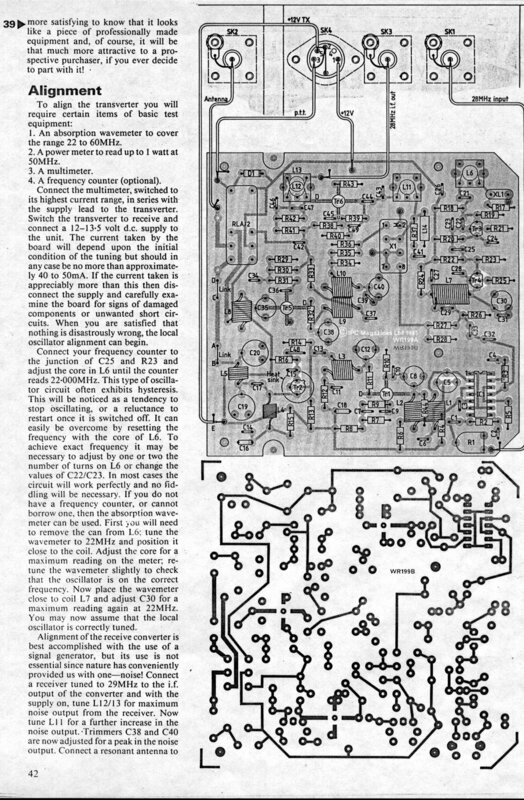 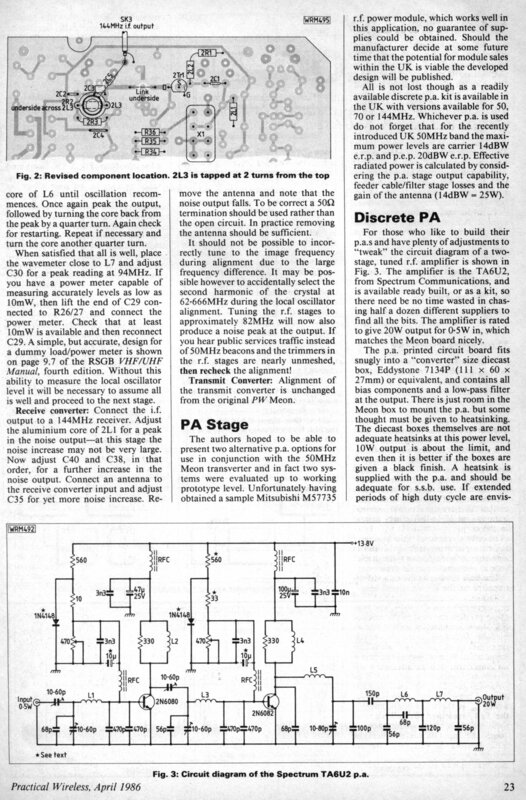 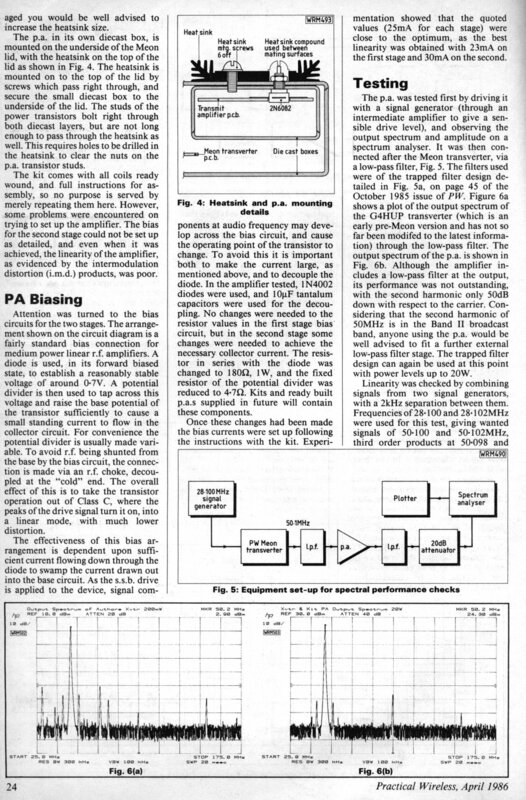 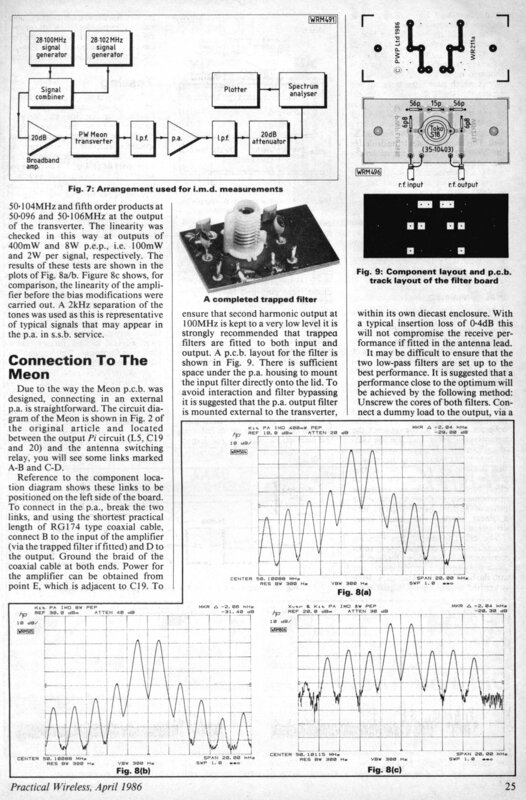 Another article, in the April 1986 Practical Wireless, shows how to adapt the Meon for use with a 144 MHz transceiver. 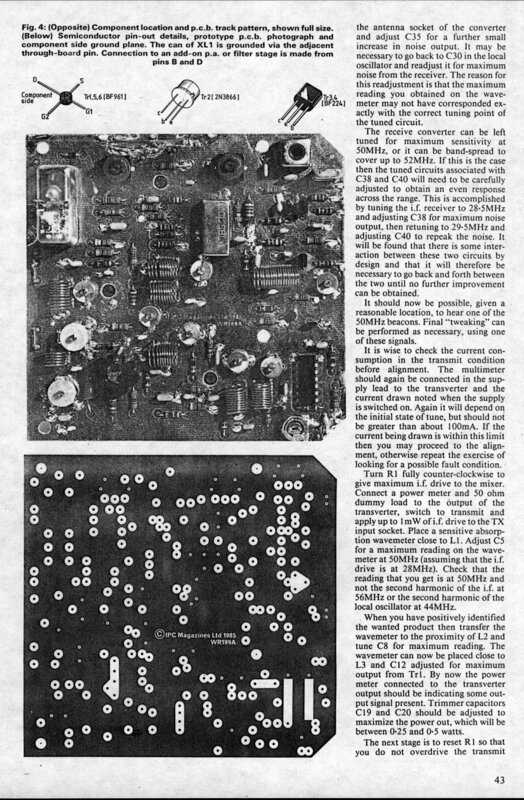 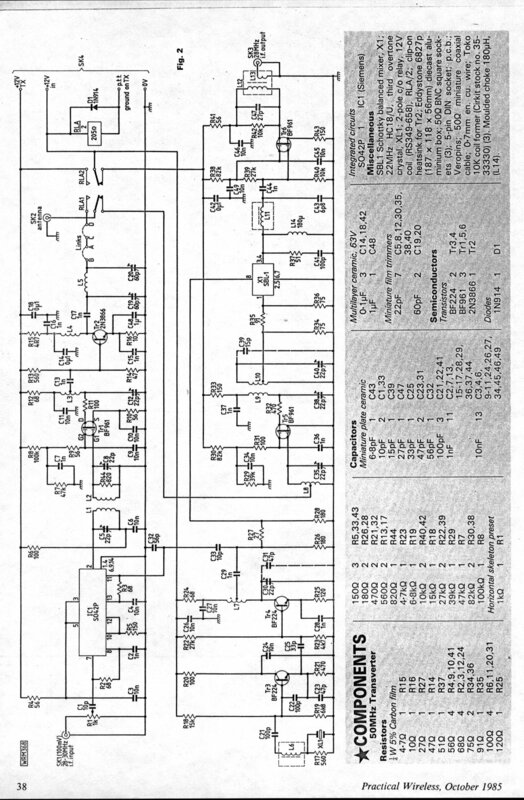 This article also mentions the Spectrum Communications TA6U2 20 W linear amplifier using a 2N6080 and a 2N6082. 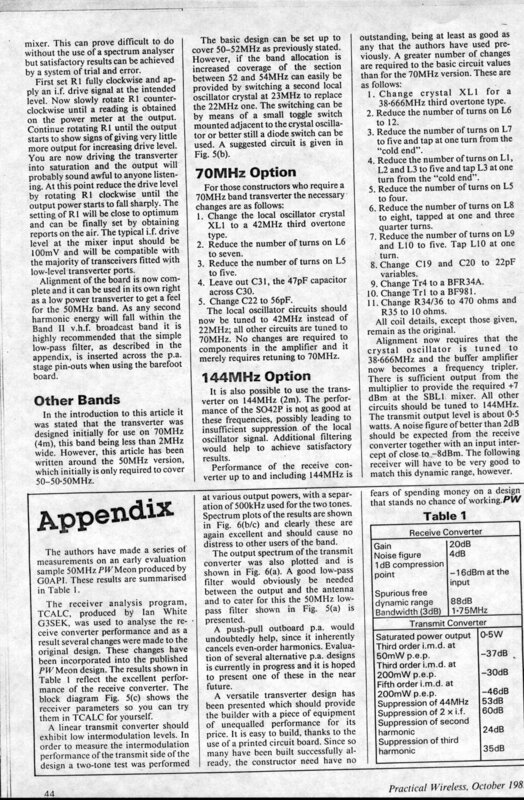 144 MHz IF Meon, page 1, page 2, page 3, page 4, page 5, also from UHF SatCom.